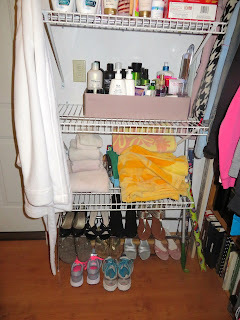 Balancing On My Toes: My Closet Organization Revamp: The Before. 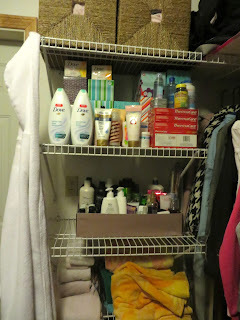 Well, I'm re-doing my closet organization again. The problem with being an adult who moved back into your parents house after living away at college, is that you have a lot of stuff you don't need at the moment but will need again someday. 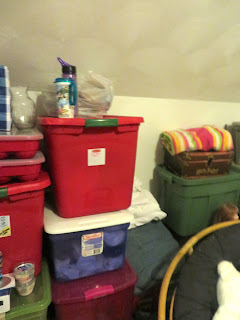 I have an insane amount of boxes in my closet, most of which are filled with kitchen items and Christmas decorations. 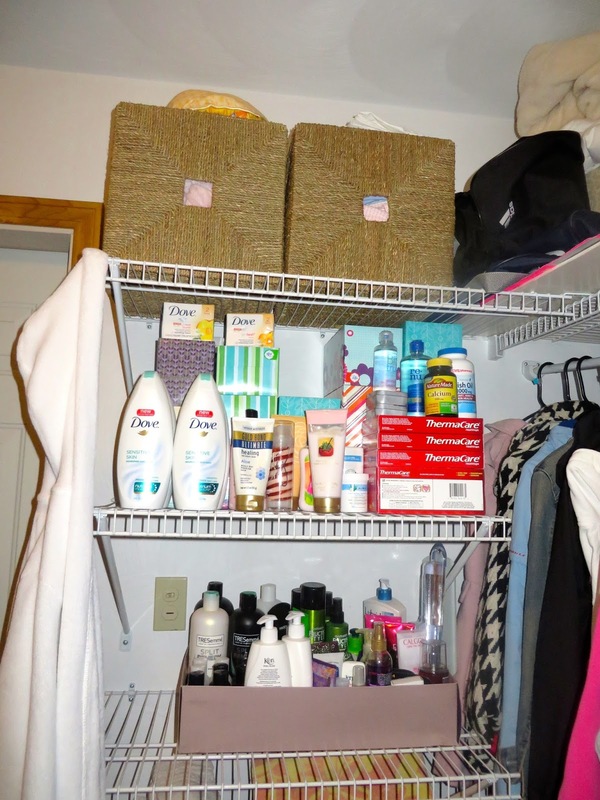 They are not things I need day to day, but foolishly I am keeping them stored within my closet and they are in my way everyday. I know there are plenty of things in my closet as well that I should not have anymore. There are a ton of clothes I need to get rid of as well as other items I'm not sure why I'm holding onto them anymore. 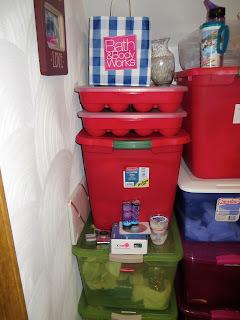 I have so many things that I need to store in the attic (which is only a door away) so my closet can become a closet again, and not just a storage center. Here are some before pictures so you can see just how stuffed it truly is and where my starting point on this project is. All the boxes along this wall will be emptied, inventoried, re-packed and then placed in the attic. 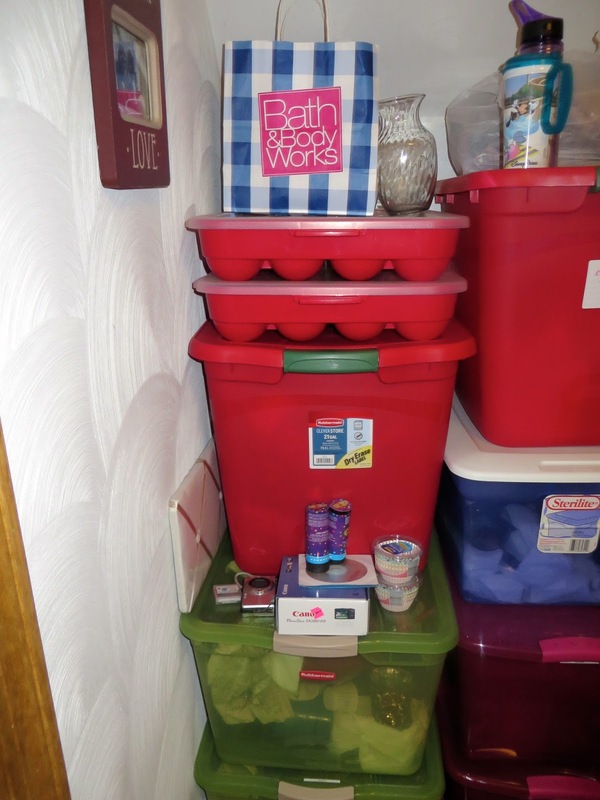 I want to know exactly what is in every box and then I want all of these boxes out of this closet! 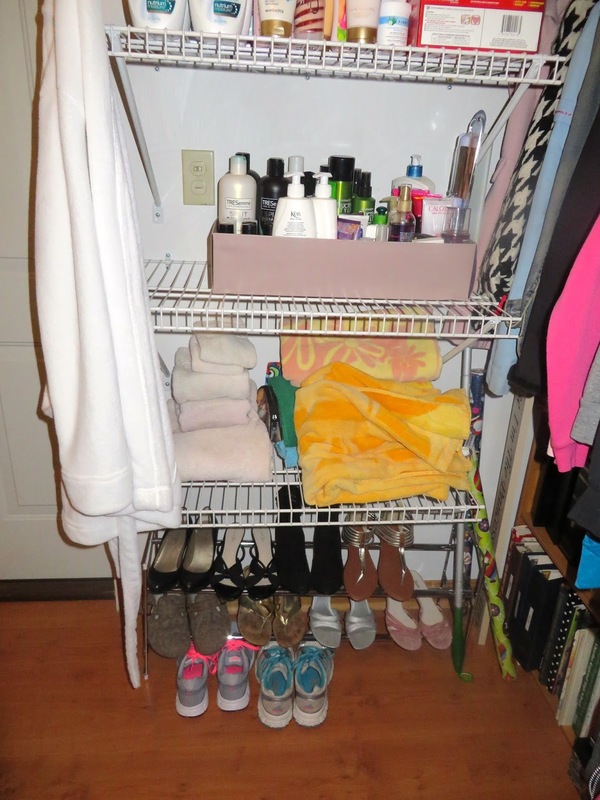 My closet looks extremely cluttered on the clothing side so I would like to move a couple of things around to make it appear more open. Empty out every box, inventory each one, number each one and put everything back in and relocate them to the closet. Empty everything out of my closet. Go through all the clothing. 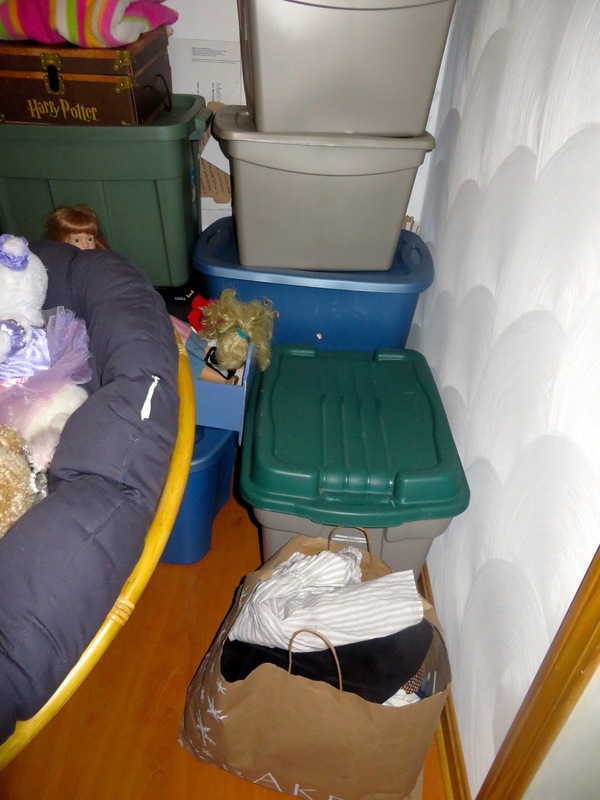 Move items to areas where they don't look quite as stuffed in. So far, that's my plan. I will be back with updates to show you guys how it all works out!